With the days getting longer, you’re likely spending more time outdoors, which means that your interior lighting is getting less use. This can help bring your energy bills down, but what about when you’re inside in the evening, getting dinner ready or watching a movie? 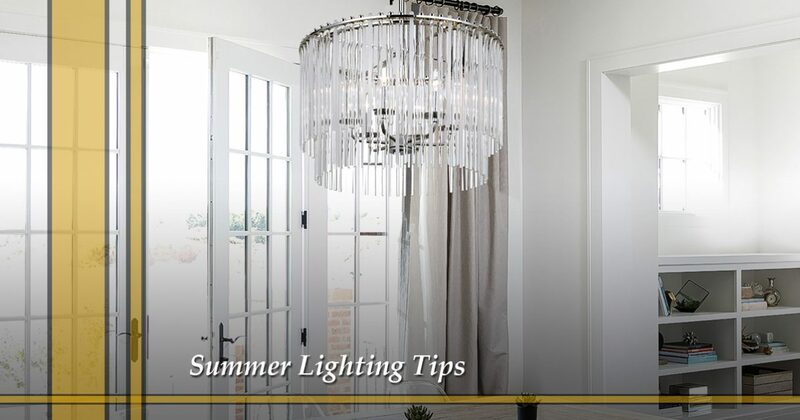 At Passion Lighting in Grapevine, we’re here to help you find the right lights for every space of your home, both inside and outside, and we can provide you with options for the ideal summer lighting. Summer is a perfect time for entertaining, and guests will often gather in the kitchen before heading out to the patio with their drinks and appetizers. If you plan to host a few parties this year, then taking the time to update your kitchen lighting can make a big difference. People may not see the other parts of your house, and having new pendant lights and recessed fixtures in the kitchen can make it a comfortable and inviting space. 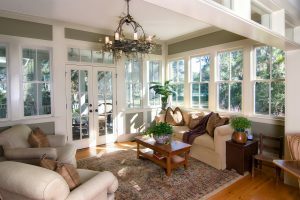 When the sun is shining outside, it’s important to make an effort to utilize that natural light inside your home. If you have living room lamps that are set to come on at a certain time, make sure they’re set a bit later for the summer months. Opening the curtains and letting the sunlight in, especially during the evening hours, can help make your home more appealing while cutting down on your daily energy use. Speaking of timers, one of the first things you’ll want to do with your outdoor lighting is reset any timers for your exterior and landscape fixtures. Whereas they may come on around 6:30 or 7:00 p.m. during the winter and spring, you can set them to come on a bit later during the summer. The warm glow of your patio lights paired with the brilliance of the setting sun can be a great way to welcome guests to your backyard for an outdoor party, and the lights will stay on as you enjoy your cocktails and conversations. Once everyone has left for the night, your lights will turn off at the appropriate time. One of your main concerns during the summer may be energy use, especially as the air conditioner runs all day long. While you might be using your interior lights less during this time of year, you still want to reduce costs as much as you can. Replacing your old bulbs with new, energy-efficient options can help you save, and new LED and CFL bulbs can also help you improve light output and color temperature around your home. If you have questions about light bulbs, then our staff will be more than happy to provide the answers. Summer is a great time for entertaining, relaxing, and having fun with friends and family. If you’re thinking about how you can improve your home’s lighting, then come to our showroom in Grapevine today and we’ll help you find the ideal options.